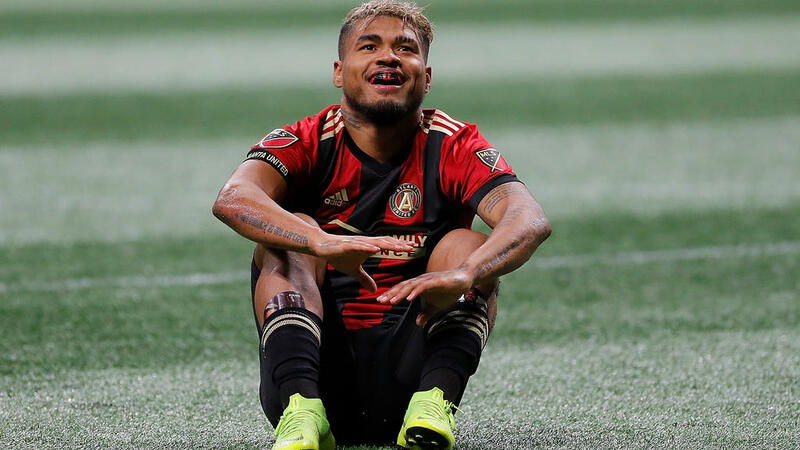 Atlanta United striker Josef Martinez was named Major League Soccer's MVP for 2018 following his record-breaking goalscoring season, it was confirmed on Wednesday. The 25-year-old Venezuelan international lit up MLS this season with 31 goals, smashing the single season record of 27 previously held by Roy Lassiter, Chris Wondolowski and Bradley Wright-Phillips. Martinez is an integral part of the Atlanta team who will face off against the Portland Timbers in Saturday's MLS Cup. The centre-forward was a key pillar of an Atlanta strike force which scored a league best 70 goals this season. Martinez, who was named MLS Newcomer of the Year last season, has netted 50 goals in two seasons with Atlanta. His 50 goals have come in just 54 appearances for the club, who only joined MLS as an expansion side last year. The MVP recipient is chosen after a vote by players, club management and media members. Martinez came top of an eight-player shortlist of nominees, with Atlanta team-mate Miguel Almiron coming second. Los Angeles Galaxy star Zlatan Ibrahimovic was third while D.C. United's Wayne Rooney was fourth. Martinez is the eighth South American player to win MVP award and the second in a row following Portland's Diego Valeri last year. Martinez joined Atlanta from Serie A side Torino in 2017 following three seasons in Italy.